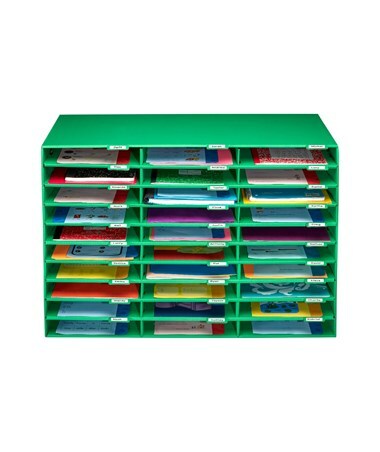 The AdirOffice Classroom File Organizer keeps any classroom or office clean and organized. 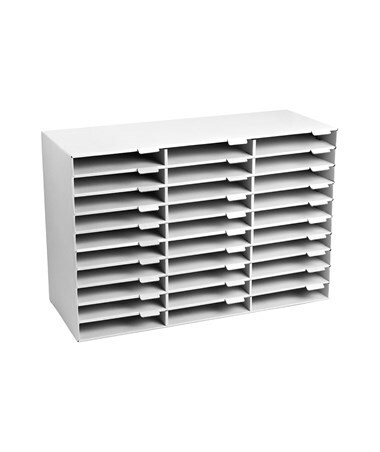 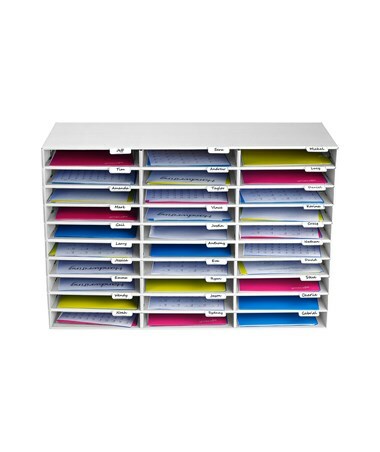 With its compact and folder slot storage system which includes up to numerous open slots, this organizer provides enough room to easily slide a stack of papers, magazines, notebooks, or slim binder into each slot without taking up too much space. 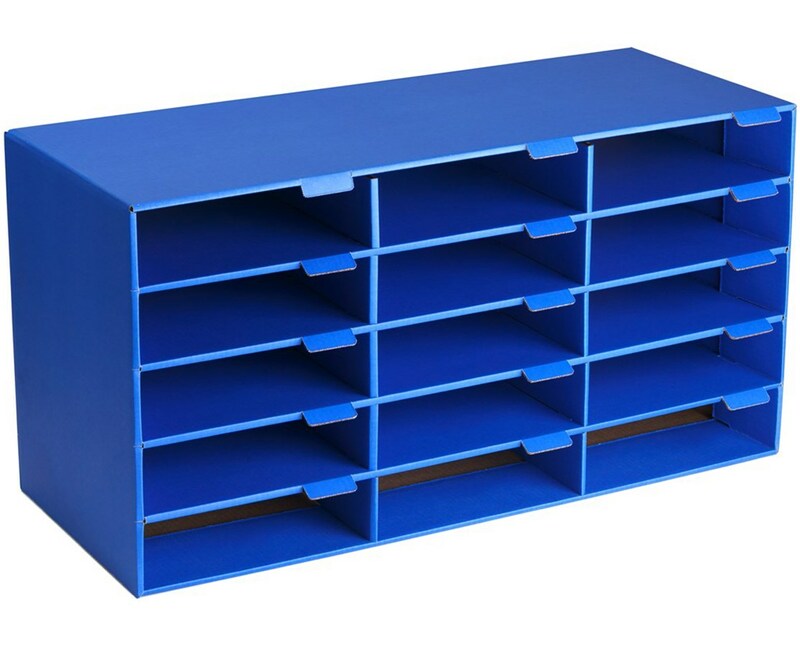 The sturdy cabinet by AdirOfffice is made from eco-friendly recycled material. 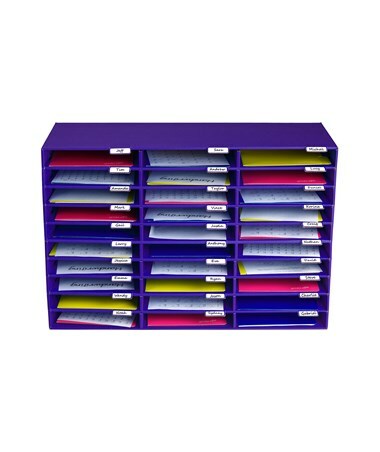 Built to last for years, this organizer comes with a durable design and strong shelves that can easily carry the weight. 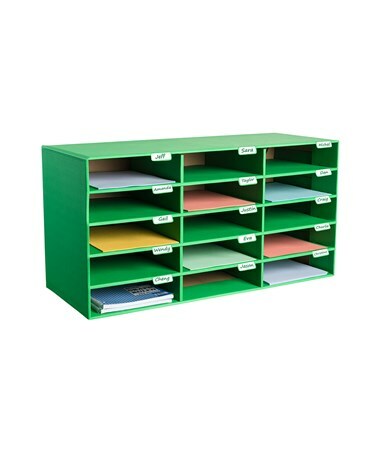 Users can also assign slots by name, project, or year simply by placing a labeled sticker on the innovative slot tab. 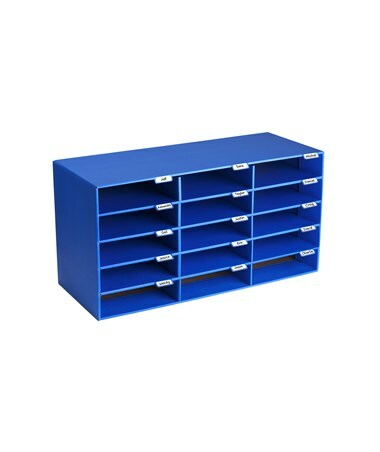 In addition, this cabinet is coated with a bold blue finish that adds a brilliant touch to any space. Please Note: Pictured contents are not included. 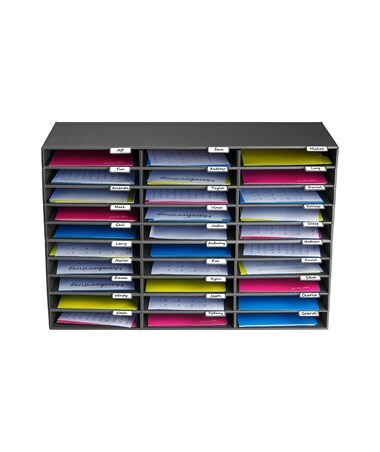 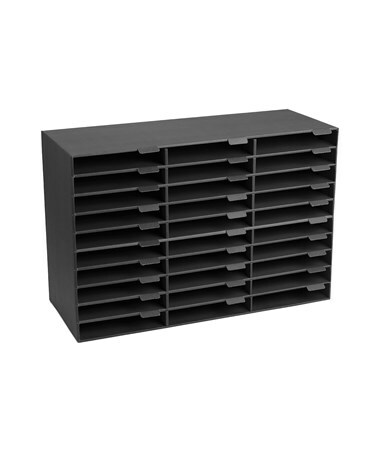 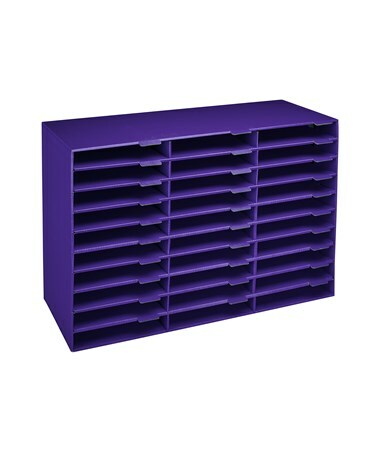 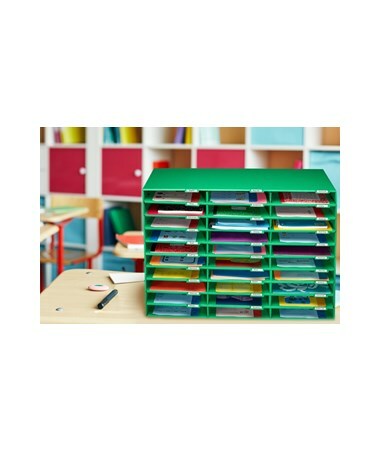 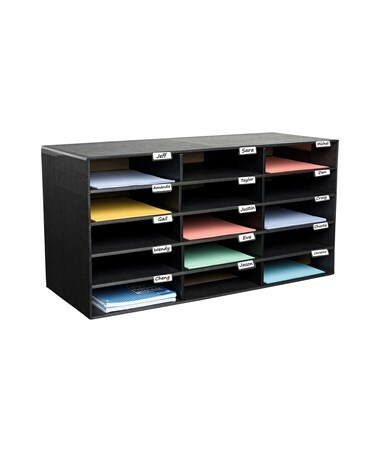 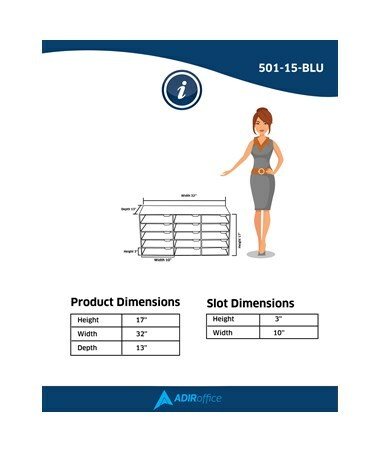 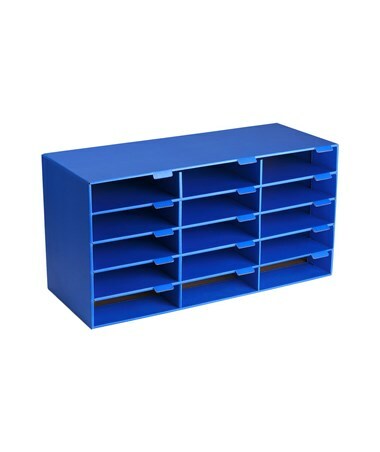 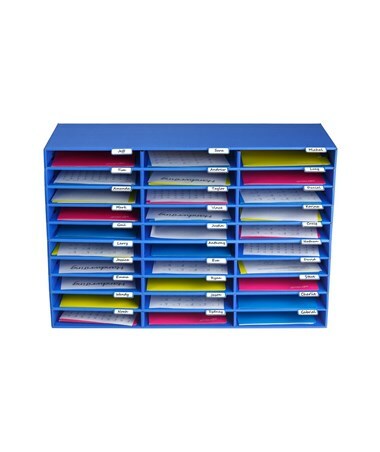 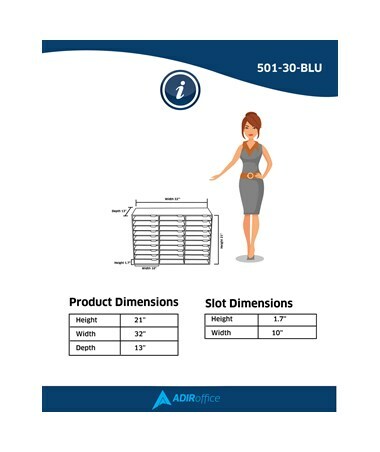 The AdirOffice Classroom File Organizer offers various colors and number of slots. 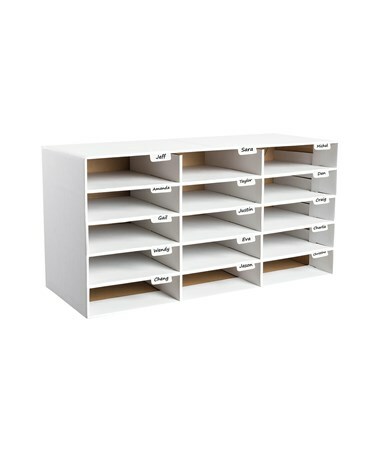 Please select your preference from the drop-down menus above.